First off, NASA hasn’t confirmed the bid. It’s not quite clear where the Wall Street Journal got its information, so it’s possible that something will shift in the interim. And if it does, we’ll do another post. Part of the reason the WSJ has published this news is because Jeff Bezos, CEO of Amazon, has been working on a space start-up called Blue Origin, which has recently joined forces (or made the affiliation public) with Boeing. Perhaps that helped Boeing nudge out its competitors. Boeing was generally regarded as the safest choice, given its experience in the field, its recognizable brand, and its use of existing technology. It was the most expensive of the three bids (SpaceX was the least). One of the major downsides of the Boeing craft is that it uses the Atlas V rocket for launch, which uses an engine built in Russia. I was pulling for SpaceX, which, in addition to be the cheapest, is the only craft to use its own rocket, the Falcon 9. 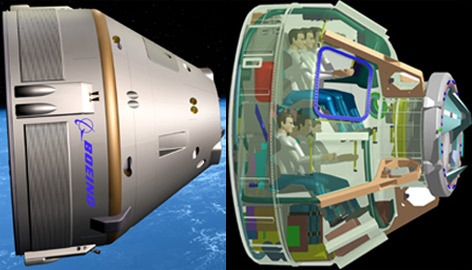 SpaceX has brought cargo the ISS, so the company appears well equipped to succeed in such an endeavor. 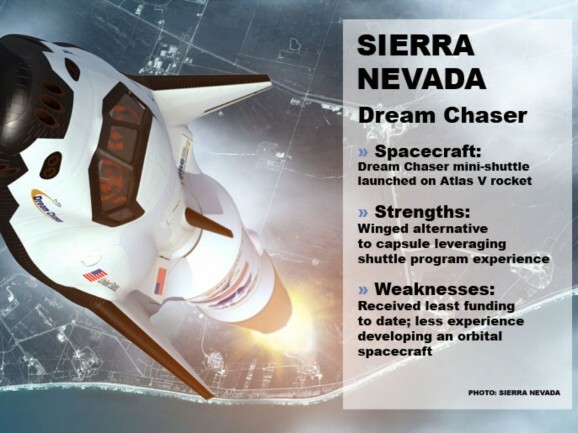 Sierra Nevada was the dark horse, having received less funding than the other two, and delivering a fairly unusual-looking design. 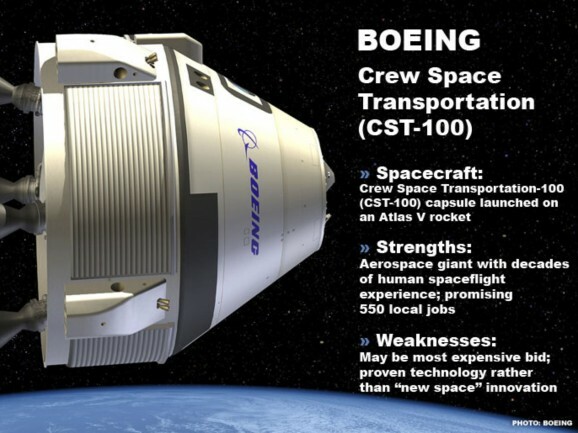 Ultimately, it seems like the least risky option proved to be the most appealing one, and if indeed the WSJ is correct that Boeing has won the bid, the CST-100 will be transporting astronauts to low-Earth orbit and the ISS within the next three years. Even though I can’t help hoping the WSJ jumped the gun in its announcement, I’m excited to see what a U.S. shuttle program can deliver, and how the success of a private space taxi will affect the industry. UPDATE: It does look like the WSJ did go off a bit half-cocked. 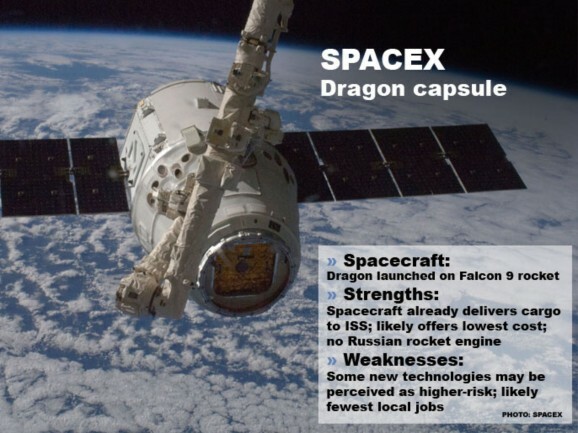 While Boeing is still receiving a bid, it also appears that SpaceX will get one as well. An official announcement is coming, and you’ll know more on that front when we do.